Sunstone inspires Father Related Perception Improvement 🔸Sunstone is in essence the Sun in crystal form. 🔸Carrying Sunstone around encourages you to release father abuse and abandonment related issues. 🔸Sunstone cultivates the strength to forgive. Alanze Jewels is a hand-crafted crystal jewelry line created with your wellbeing in mind. This business began in the summer of 2015 with the intention to provide jewelry that lift the spirit to a healthier state of being. Creator Terina Alanze is a Reiki Level 2 certified practitioner in Dallas, TX and crystal knowledge enthusiast. She is driven to incoporate ease and clarity in her daily life practices and consistantly inspires others to do the same. Know that the piece you select will, "Elevate your Inner G!" 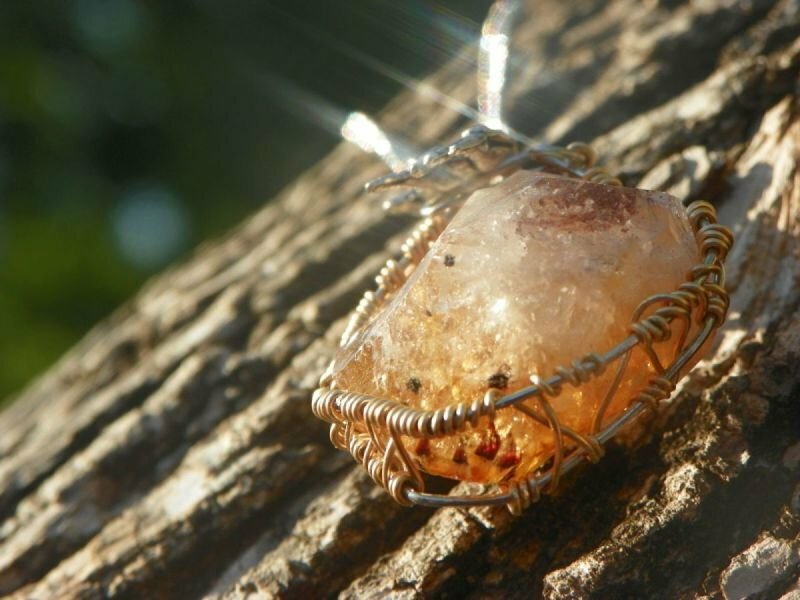 Imagine a stone that amplifies a clear aura, keeps you grounding and laid back, overcomes and repel psychic attacks, and promotes acceptance of your shadow self. Black Tourmaline in Quartz is the specimen featured.